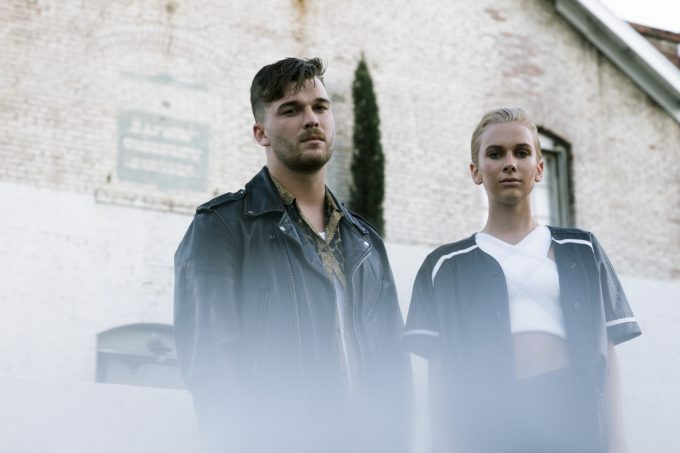 New Zealand superstars Broods are back with the video for ‘Heartlines’, the second single to be lifted from their recently-released album ‘Conscious’. Co-penned with Lorde and Joel Little, the track is another desperately likeable piece of electronic pop, the likes of which are peppering charts across the planet at the moment. So it’s only going to take a little performance of it on ‘Ellen’ or a show of its ilk and Broods will be away. The clip (below) is a collaboration with Microsoft, who tracked the biodata from Georgia’s performance and translated it into the spooky, almost electric visuals you see piercing through the veins of a couple whose relationship is on the verge of a breakdown.